At this moment, one of the biggest risk is the SFP of reactor 4. 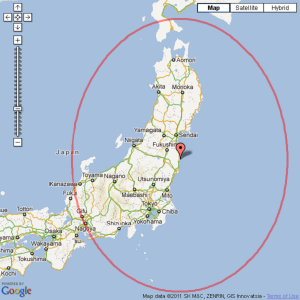 Japanese government talks they need to evacuate further than 250km (Around Yokohama), but this would be a lie as always. Dr. Arnie Gundersen warns they need to go further than 450km. Here FD puts the map just for your information.